DiscoverEU is an initiative of the European Union based on a proposal from the European Parliament, which aims at offering young people aged 18 years old a travel experience that will enable them to take advantage of the freedom of movement in the European Union, discover the diversity of European regions, enjoy its cultural richness, connect with people from all over the continent and ultimately discover themselves. Under this initiative, the European Commission is going to select at least 12 000 young people and will provide them with travel passes to explore the European Union between 15 April 2019 and 31 October 2019 for a maximum period of one month. Selected applicants will, as a basic rule, travel by rail. However, in order to ensure the widest possible access, the project should offer alternative transport modes as ferries and buses when necessary, and taking into account environmental, time and distance considerations. In exceptional cases, and when no other transportation means are available, travel by plane will be permitted. This will ensure that young people living in remote areas or on islands also have a chance to take part in this initiative. Young people with special needs are welcome to participate in DiscoverEU. They will be helped with information and tips, and costs of special assistance (accompanying person, dog for visually impaired applicants, etc.) might be covered. 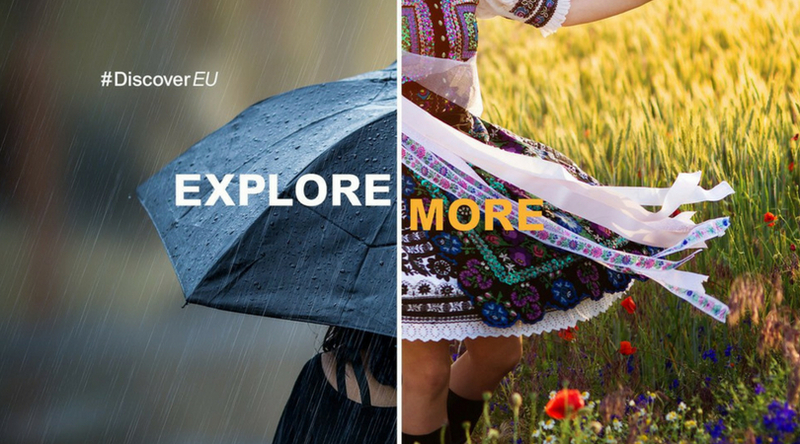 For more information, visit DiscoverEU 2019.